You'll explore the less-touristy side of things at Kings Beach and Kirra Beach. Change things up with these side-trips from Brisbane: Pelican Feeding (in Labrador), Kurrawa Beach (in Broadbeach) and Robina Town Shopping Centre (in Robina). Next up on the itinerary: stroll through Maroochydore Beach, indulge in some personalized pampering at some of the best spas, take in nature's colorful creations at City Botanic Gardens, and explore the striking landscape of Burleigh Head National Park. 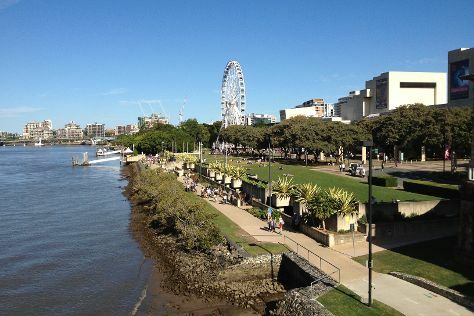 To see more things to do, reviews, traveler tips, and tourist information, read Brisbane trip builder . If you are flying in from United States, the closest major airports are Brisbane International Airport and Gold Coast Airport. May in Brisbane sees daily highs of 74°F and lows of 56°F at night. Finish your sightseeing early on the 10th (Fri) so you can travel back home.